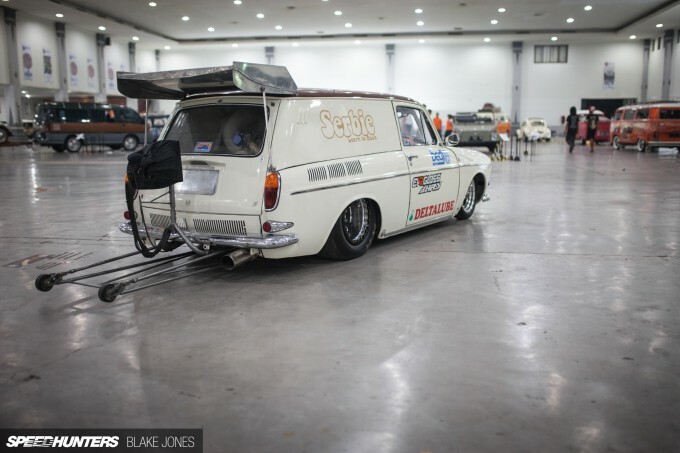 The vintage VW scene is so large and full of variety these days, that there’s a niche for absolutely everything – from top secret sleepers to ground-scraping show-stoppers and everything in between. Sometimes a feeling of déjà vu is inevitable when so much has been built, driven and photographed already. 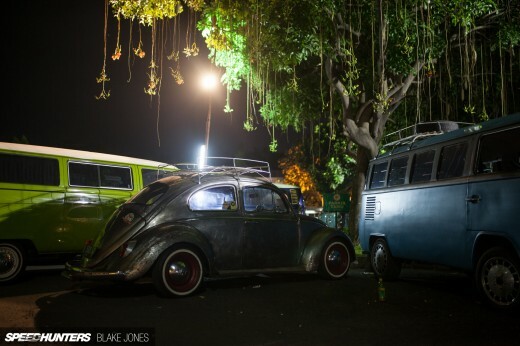 As I strolled through the halls of the Jogja Volkswagen Festival in Java, Indonesia, last month, I had that familiar feeling. Of course, there’s nothing wrong with cars that execute an existing formula well, but it’s that search for something fresh and different that makes being a Speedhunter so satisfying. 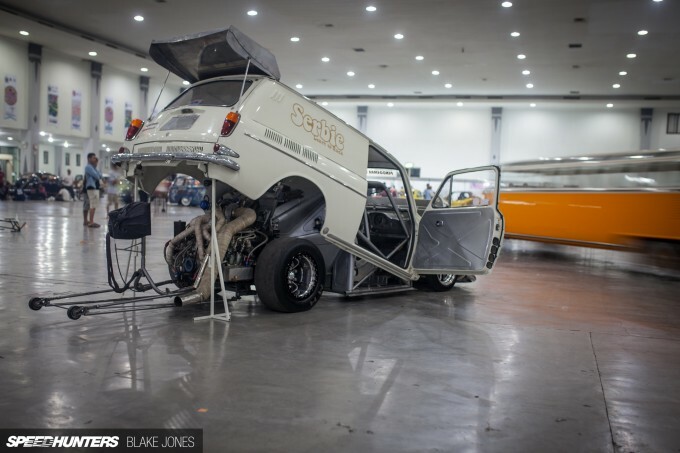 I’d been asked to select a ‘Speedhunters Choice Award’ recipient from the 300-plus Volkswagens in attendance, so my eyes were peeled for something suitably unique, well-built and fast. 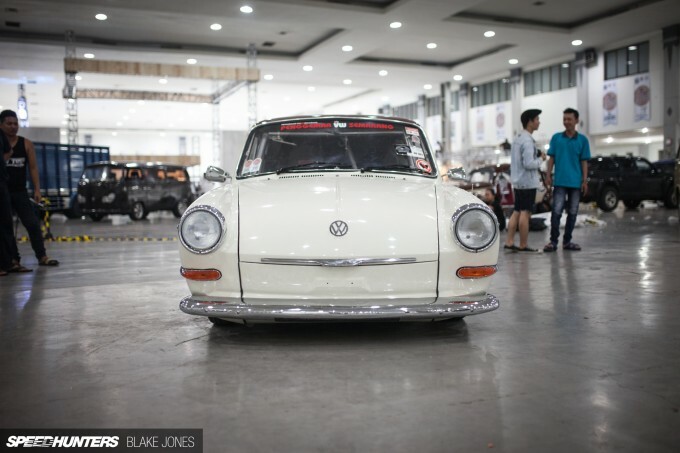 I’d say that it was a tough decision, but to be honest with you, within moments of seeing Serbie, this Type 3 Squareback, my mind was made up. So while JVWF 2015 began to be disassembled around us, I took a few minutes to get to know this custom creation a little better. For those unfamiliar with this era of Volkswagens, the Type 3 joined the trio of Beetle, Kombi and Karmann Ghia in 1961, retaining the air-cooled rear engine but packaged into three new compact body styles. Serbie started life as a 1963 wagon (aka Squareback) that lived a quiet and unassuming life in central Java until Muzamil of Bedjo VW Clinic found it alone, but in surprisingly good condition, in a backyard. To call the transformation ‘comprehensive’ is an understatement. Muzamil and his dedicated team have built a Type 3 that’s likely to become one of the fastest VWs in the country, but it stood out to me primarily for the unique approach to the build and the quality execution. Serbie‘s defining feature is the hinged body that tilts up at the firewall to provide access to the powerplant tucked into the Squareback’s former storage space. It might have been more sensible to build a lightweight fiberglass body, but as this is a car more built for enjoyment than outright speed, Muzamil opted to retain the factory metal body. There’s something about a race car with original panels that just makes it that much more relatable and ultimately cooler. Moving around to Serbie’s business end, it’s instantly clear that this little Type 3 really does mean business! Beneath the jungle of ducting, tubing and braided lines sits a 1600cc Beetle engine that has been stretched to 2500cc with a Pauter case. Boosting duties belong to a sizeable Garrett GT42R that I’m told is good for 1000hp, although at the time of shooting the confirmed figure was closer to the 700hp mark. It seems I can’t go anywhere at the moment without seeing a blue anodised Turbosmart product attached to some crazy high-horsepower build. 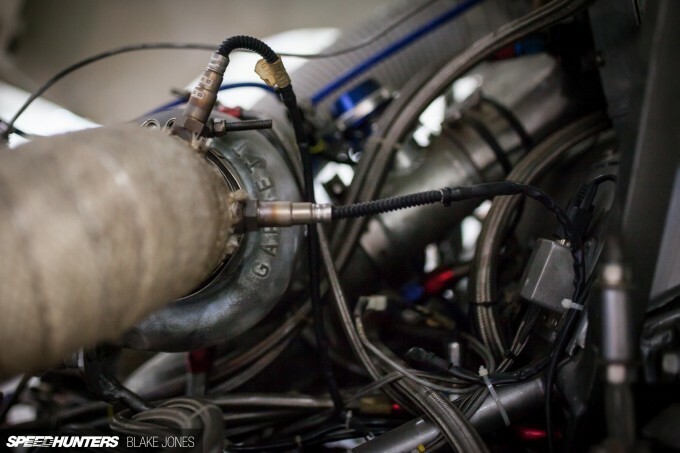 Here, a Pro-Gate50 external wastegate was proudly perched on top of the turbo manifold, keeping boost levels in check. Hugging the engine tightly are the M&H drag radials, which at 10 inches wide are surprisingly narrow for a purpose-built drag car. The reason is simply packaging – the desire to keep a factory body has limited the space between engine and factory fender line. Also worth a closer look is Muzamil’s cockpit. Here you can see how the factory body lifts away from the chassis and NHRA-spec rollcage. All the usual suspects for a competition drag car are present, including a Painless Wiring switch panel, quick-release wheel and a bevy of old school Auto Meter gauges. In the passenger area, the team has installed an ice water tank to circulate coolant through the intercooler. The Kirkey racing seat is both handsome and functional, holding Muzamil in place within the driver protection cage going well beyond current Indonesian drag racing regulations, but ensuring peace of mind on the quarter mile. The front axle was shortened 3 inches on each side, also to enable the billet wheels to sit within the confines of the factory bodywork. 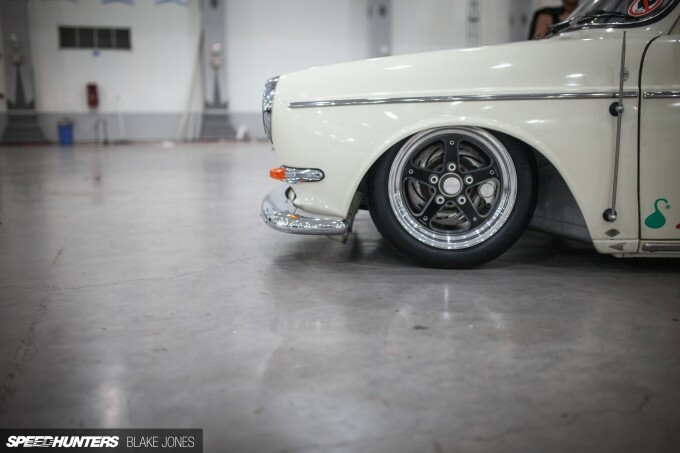 No complaints about poor fitment here! 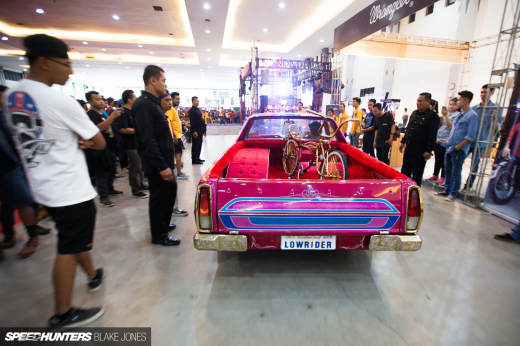 Serbie is yet another example of how hot Indonesia is for custom builds at the moment, and even more impressive that such a comprehensive creation can be built in-house by a small team of technicians. 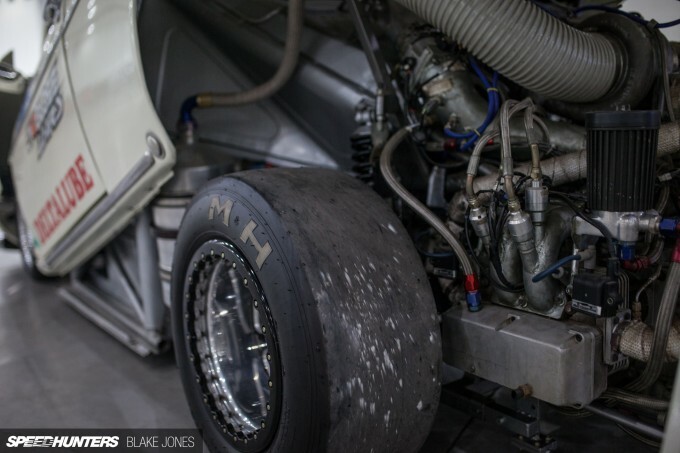 I really can’t wait to see footage of this thing tearing up tarmac at a Jakarta drag strip in 2016! 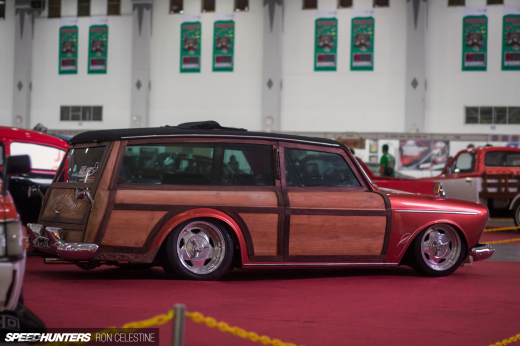 There are not enough words to express how cool this squareback is. 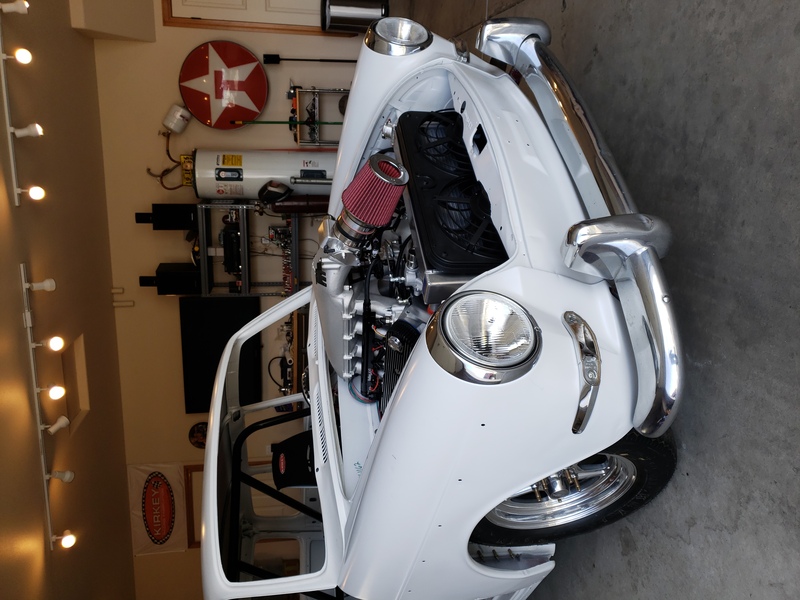 I had no idea those old VW flat fours are being boosted to these levels...700+...around here people seem to go to Porsche swaps before adding any boost. Yes, pretty cool. But-..I seem to always find myself quickly scrolling down these articles straight to the pics of the engine set up and the more technical side of such builds. I would have loved to see some more detailed pics of the injection system, exhaust, intake, more of the intercooler set up, gear linkages and brakes etc etc. Also with some more detailed write ups on these areas. I don"t mean to down play what you do, (I love Speed Hunters), but not everyone is into flash wheels, rocket bunny flares, and stance. Am I showing my age? 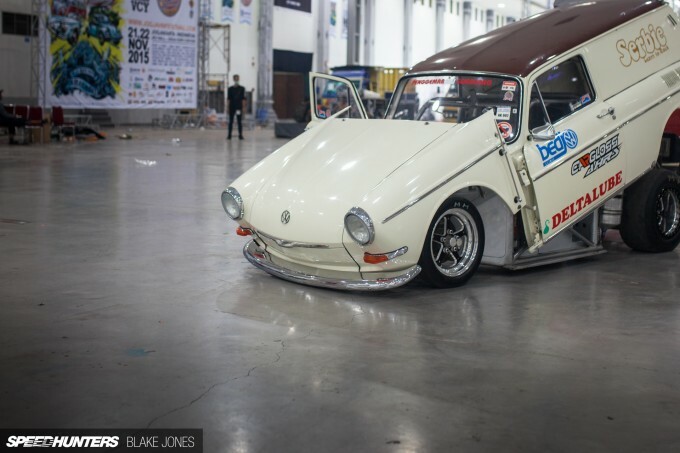 Now THAT is a nice VW. Not just "lowered and wheels". bbbradbbbrad Yeah, I agree with stuttering Brad. Unique cars have the most unique fabrication, but it goes beyond the exterior. How they work is more important than how it looks sometimes. Roman64 bbbradbbbrad the pain is real, fellow nerds. Sometimes you can find the cars on forums but this one wouldn't be in english, if it even exists. bluestreaksti Roman64 bbbradbbbrad I think the reason sh dont go into such technical detail is because of their audience range is so large, they might steer some people away by writing articles that just list off numbers and codes. I wouldnt mind a shortened build list by the end of the article or something like that. 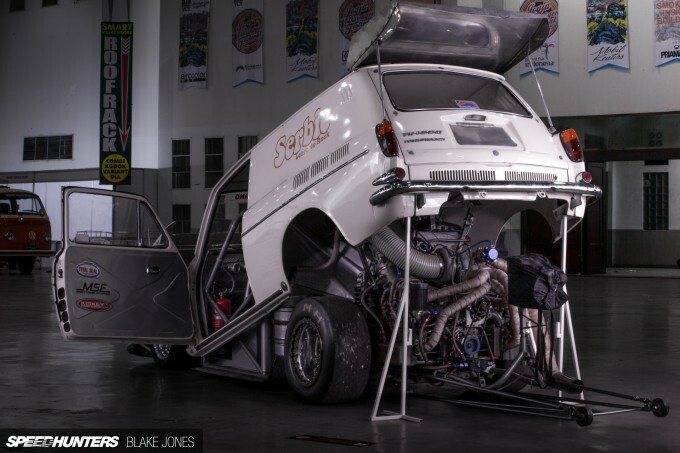 "Beneath the jungle of ducting, tubing and braided lines sits a 1600cc Beetle engine that has been stretched to 2500cc with a Pauter case." So is it a stretched 1600 or is it a big bore aftermarket block? 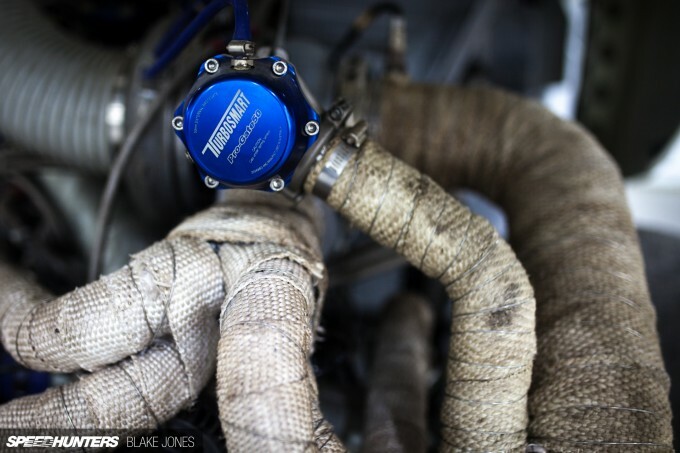 Speedhunters How about quarter mile times? 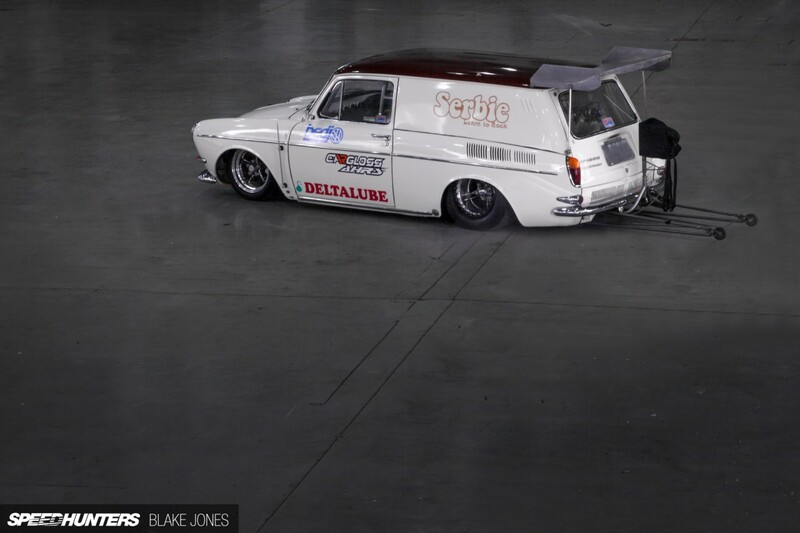 Very nicely done squareback! I think I should meet him in person and gave him a handshake. Normally, these kind of builds smack a bit of "The Ship Of Thesus" paradox: if so many parts of the car are custom fabricated - like a fiberglass body and different motor - then is it *really* still a Type III? A stock car is not *really* a Ford Taurus. However, by using a bored-over 1600cc and the original body, the whole build is that much more special; It is still very much a Type III! I believe that's what you were eluding to when you had said this car was "more relatable!" Love it! Weak, I'm calling him out!